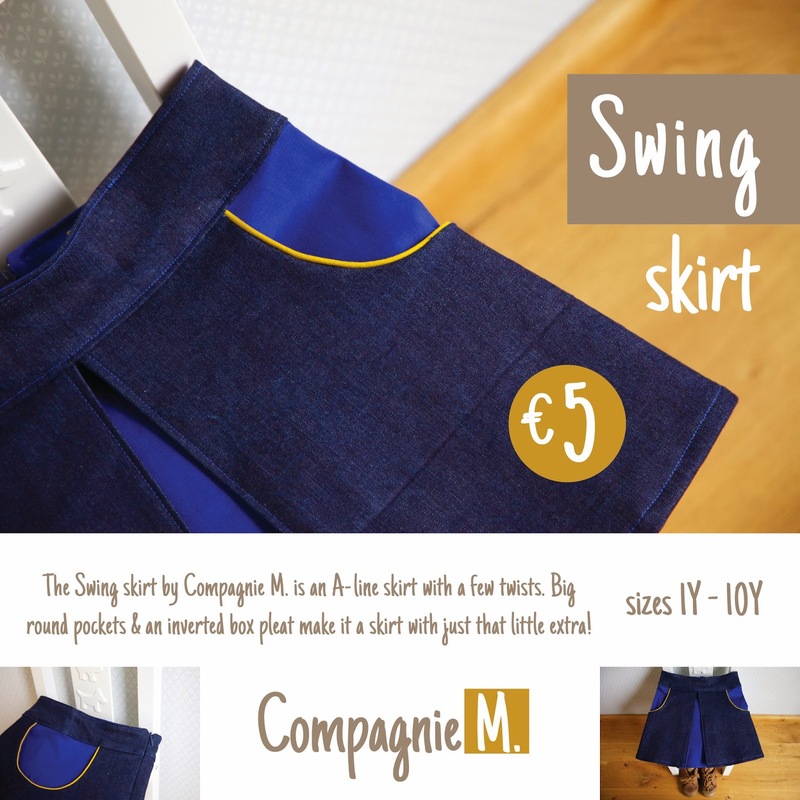 Pattern Testing for Compagnie M.
Recently I had a chance to test Compagnie M's brand new pattern, Swing Skirt. It's a darling pattern with a few interesting details. I tested the skirt in size 12 months. The skirt has an inverted box pleat in front, two round pockets, and an invisible zipper in the back. The skirt is fitted, but Marte also includes an adjustable waste option. I think with smaller sizes it helps to have an elastic inserted. When you sew such small sizes, you can get away with using scraps of fabric. The main fabric is a corduroy leftover from a project I made for a friend a few years ago. I had a tiny piece of the awesome unicorn fabric I used to make Ania a jacket. The pattern is for purchase here. Awwww. I was thinking about this skirt and little ladies. Looks so good!! That skirt is so tiny! Love it!